Our social and support group meetings grow each month. FEAT-NT on occasion provides free childcare for parent groups so that families can come and share and learn from one another on ways to better help their children. Our parent group meetings help families cope with the challenges of autism and to help families feel that they are not alone. Not only do they share their struggles, but also what works for their family, resources, and interventions that have helped them. It is also a time to share the strengths and amazing things their kids are doing. FEAT-NT support group meetings are informal and a nonclinical model led by seasoned board members who have mentored many families over the years. Come share great company with other parents, families and individuals in a warm safe environment while getting valuable resources. Our Tween, Teen, and Adult Groups are non-age specific even when stated below, because we understand that autism spectrum issues make defining age appropriate conditions difficult. We encourage you to participate and engage in what age specific group your child and family would benefit from. 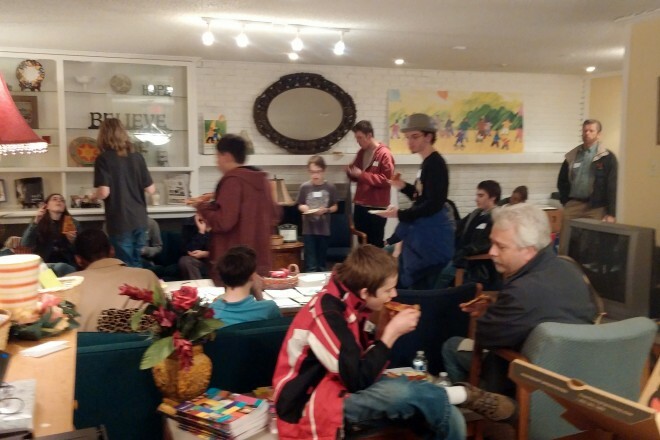 The FEAT-NT Teen, Tween, and Adult Social Groups are an opportunity for those with autism to meet in a spectrum friendly social environment and families to participate. These non-clinical parent run, autism friendly social groups focus on greeting, sharing, taking turns, building family relationships, learning flexibility and engaging with others. FEAT-NT’s tween social group is for children grades 3rd through 8th with high functioning autism/Aspergers. 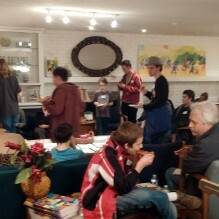 This program, called Connecting Cool Kids, provides two hours of social games and dinner for the children. This non-clinical, parent run, social group focuses on the skills necessary to have a friend over to play – greeting, sharing, turn taking, staying with a friend, flexibility in how a game or activity is done. Parents will work directly with their children to help them engage and have fun with others. FEAT-NT provides one of only a few support group meetings for adults with autism in all of Dallas, Tarrant and surrounding counties. We help adults with Aspergers and High Functioning Autism by providing them with resources to find jobs, counseling, therapy, transportation and other services. Our group also provides them the opportunity to meet others like them helping them feel less isolated. Those that attend usually benefit most if they are able to fully communicate as this group meets primarily to discuss aspects of having an ASD. For some of them, our monthly support group meeting is one of their only social opportunities. Childcare is provided for children with Autism and their siblings. A suggested donation of $5.00 per family is appreciated and can be given upon arrival. FEAT-NT’s teen social group is for teens 13 to 18 years of age with high functioning autism/Aspergers. This program provides social games and dinner for the teens. This non-clinical, parent run, social group focuses on the skills necessary to have a friend over to play – greeting, sharing, turn taking, staying with a friend, flexibility in how a game or activity is done. Parents are encouraged to stay and work with the group to help them engage and have a meaningful social experience.